Playa del Carmen authorities are trying to get the prestigious European certification known as Blue Flag. The Blue Flag is a certification by the Foundation for Environmental Education (FEE) in Europe which certifies that a beach or marina complies with its rigorous norms. 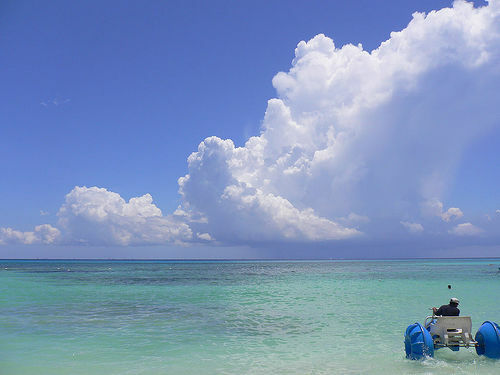 Blue Flag criteria include water quality, safety, environmental education and information, the provision of services and general environmental management criteria as per the news in The Yucatan Times. “Safe beach Program” envisions a natural barrier which will preserve the beaches in the region. The local authorities in Playa del Carmen will be tasked with the implementation of the project. The certification will provide a challenge as well as an opportunity to clean the waters and beaches so that ‘Blue Flag’ could be claimed. The certification doesn’t come easily as cost of implementation is very high taking in to account infrastructure and maintenance programs to maintain and monitor the quality of water as per the foundation’s standards. Morentin Ocejo however was confident of successfully achieving this medium term project.